Skin tag removal has never been so easy with Cryotag, the new self-treatment for skin tags. This handy home treatment uses the same cryotherapy technology as used by doctors and dermatologists and gets rid of any unwanted skin tags in just two weeks, leaving a healthy-looking skin! Clinically proven and developed by a world leading manufacturer with over 20-years experience in skin tag removal, Cryotag instantly freezes the skin tag to the core which destroys the tissue and causes the skin tag to fall off, in as little as 1 treatment*. 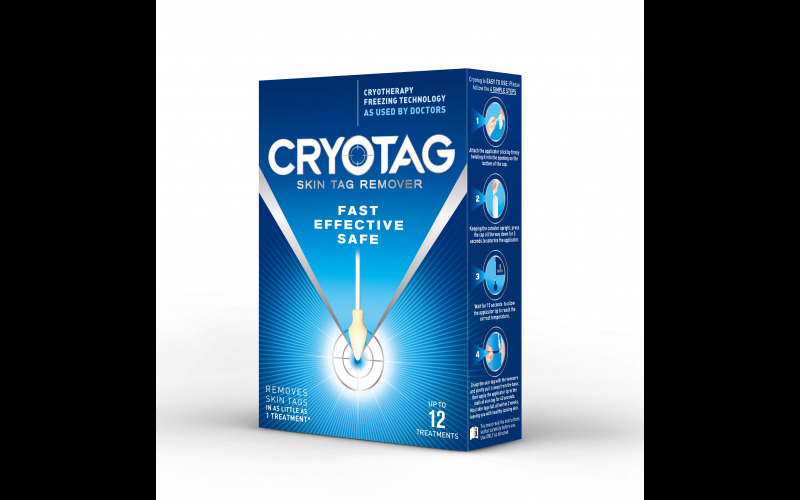 Cryotag is very easy to use and will freeze away skin tags easily and safely in seconds. Since its launch to the UK market Cryotag has been voted High Commended in the Beauty Innovation of the Year category at The Beauty Awards 2017. To help you look and feel your best this summer, Cryotag is giving away full-size products to 5 lucky winners! If you have any concerns about your skin tag, please visit your GP. · *Some skin tags may require additional treatments. You can treat a skin tag up to 4 times.